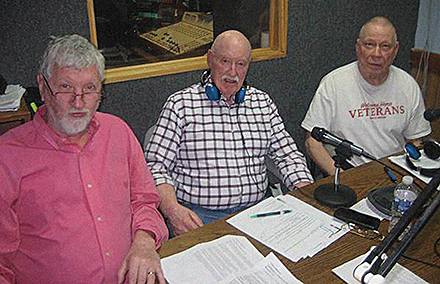 Every Saturday at 2 p.m. three Vietnam veterans take to the airwaves to “Welcome Home Veterans.” Host Joe Griffies (left) founded the show about six years ago. Now he’s joined by co-hosts Joe Walters (right), a Silver Star recipient, and Bill Davenport (center), the past president of VVA Chapter 955 in Wildwood, N.J., the home of a half-size replica of the Vietnam Veterans Memorial in Washington, D.C. 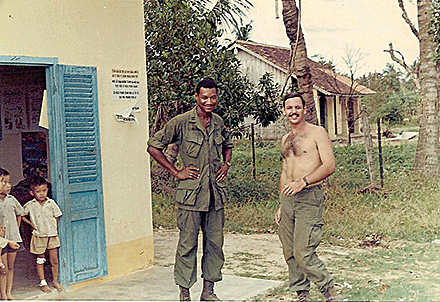 The two-hour program brings recognition in particular to Vietnam War veterans, but addresses the challenges and problems of all veterans, as well as examining current events. There are always scheduled guests and phone calls are taken. The show can be heard on WIBG, 1020 AM and 101.3 FM. It is also broadcasted over the Internet at https://www.wibg.com For more info, call Bill Davenport at 609-827-0588.